Why are we seeing so many food recalls? Not only does it feel like there are more recalls these days, the data backs it up. MINNESOTA – Minnesotans should be aware of four ongoing food recalls. The Centers for Disease Control is warning of salmonella in pre-cut melon sold at Walmart, Costco, Trader Joe's, Walgreens and Whole Foods. Two dozen cases of cyclospora have also been reported here in Minnesota and Wisconsin, stemming from veggie trays sold at Kwik Trip gas stations. More cases of cyclospora have been reported by diners at Sonora Grill in Minneapolis. And Honey Smacks cereal is also being recalled after a multi-state outbreak of salmonella. It feels like every time you look online, some government agency is warning us about a food recall. The CDC tracks food outbreaks nationwide. Back in the mid 2000’s the agency was getting reports of a little more than a thousand outbreaks a year. In recent years, the agency has been getting close to 4,000 reports a year. This startling increase makes one wonder, why are we seeing more food outbreaks in recent years? Trisha Robinson is an Epidemiologist Supervisor with the Minnesota Department of Health (MDH). She's one of the experts who is tracking these food outbreaks and warning the public. She says our food supply chain is constantly changing, with more produce coming from foreign countries. "In certain regions if there are not good sanitary practices that's a certain way this can happen," Robinson explains. That may have been a factor in the recent cyclospora outbreak in veggie trays, because the parasite can only come from human waste. "It's something only people carry. So, we can't blame the cows or the chickens or something like this for this one," Robinson says. Our food is also being touched by more people than ever before. MDH says workers at food processing plants can contaminate the food when they cut, chop and package produce for convenience. 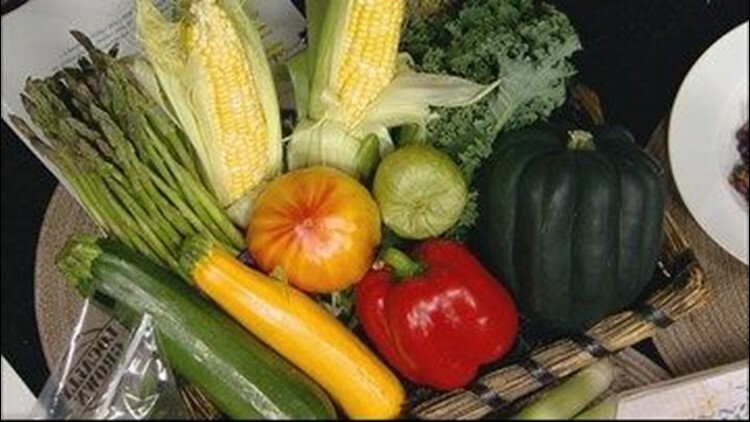 Processed fresh produce is becoming more popular at grocery stores. Nearly everything you can think of is available chopped, washed and ready to eat. Robinson says that isn't the case with cyclospora, because the parasite typically contaminates produce in the field, before it gets to the processing facility. However, MDH says other common bacteria and viruses like E. Coli and Salmonella can be spread by human interaction. Robinson says testing has also improved in recent years, which is making it easier for scientists to detect outbreaks early on. Social media may also be a factor, Robinson says. Food safety experts have more ways to alert the public of a recall than ever before. So, the increased number of recalls may seem like it's even higher than it really is. "Word travels fast and people can also let people know about things more quickly and more wide spread."